Hutchinson Island "Reserve" has been a gold mine. 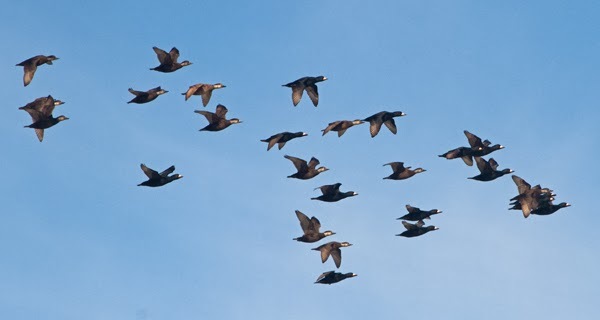 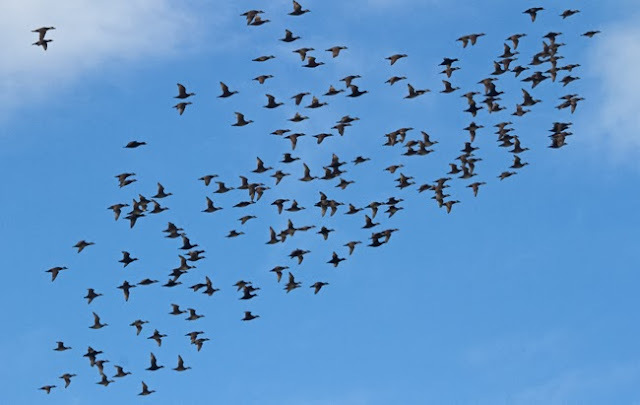 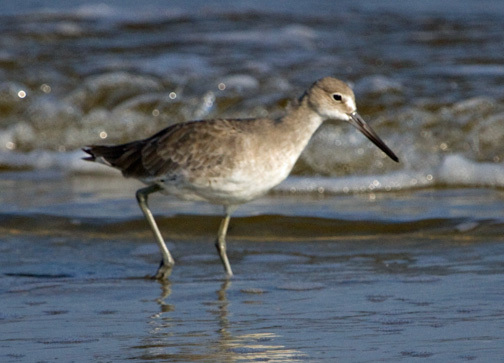 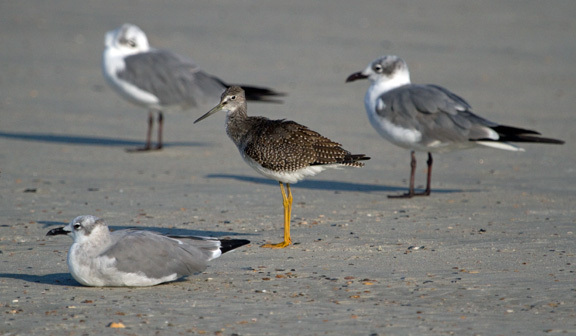 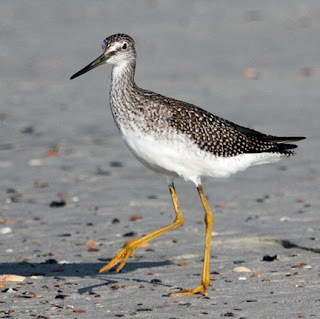 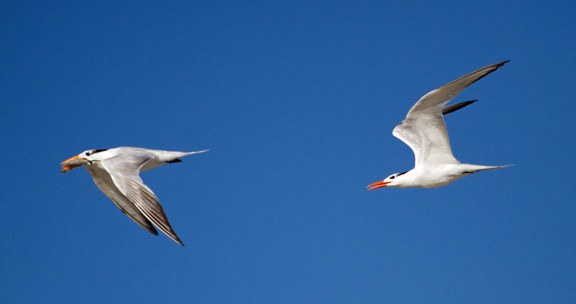 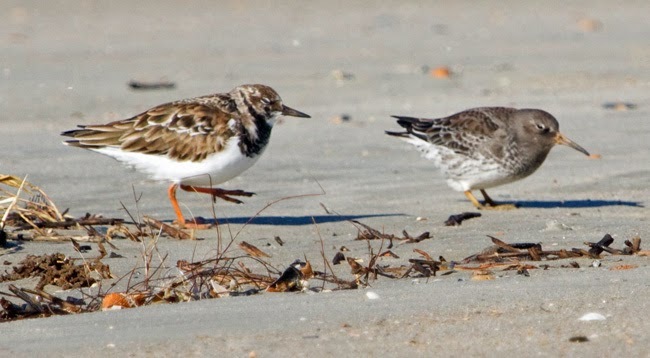 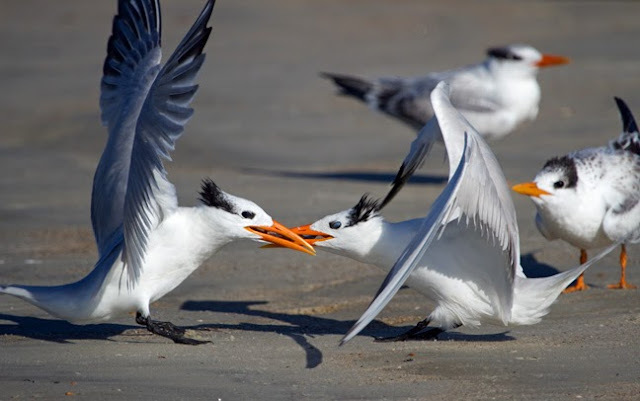 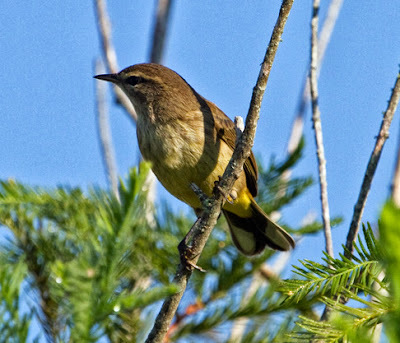 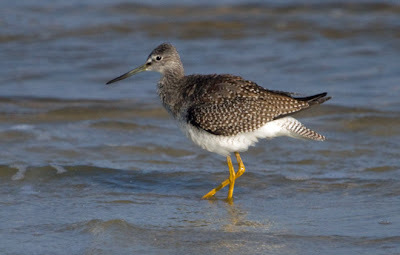 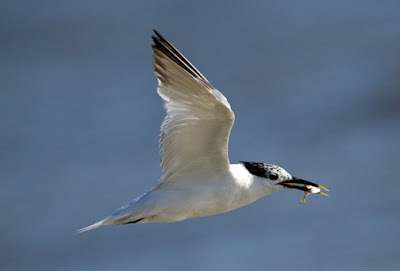 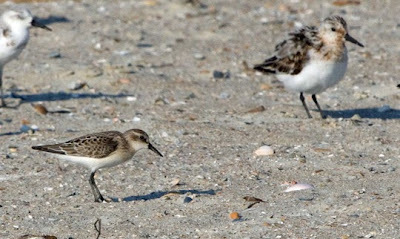 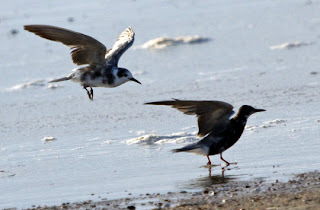 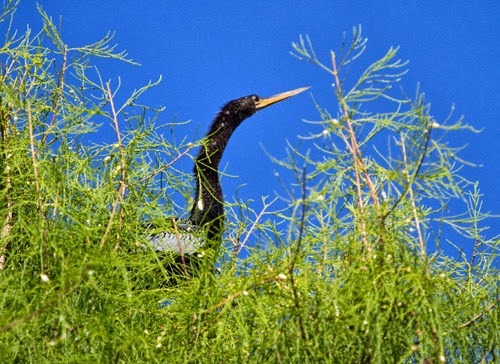 I was in Virginia after Thanksgiving when I saw that Steve Calver and Russ Wigh were posting about all the birds they were seeing on Hutchinson Island. 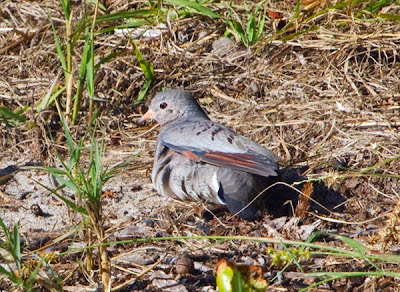 The Reserve is a section of the island that was intended to be a high-end housing development that floundered with the real estate slowdown. 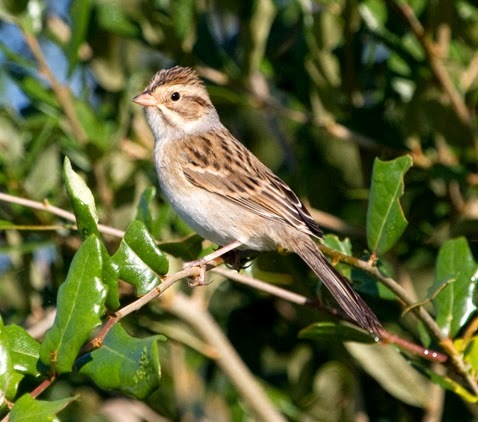 Now there are lots of weedy fields and ditches that are great for sparrows, Killdeer, snipe, meadowlarks, shrikes, and more. 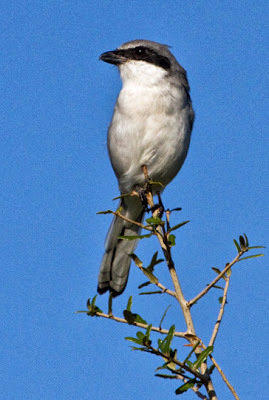 Last winter, the area even had 2 Western Kingbirds. 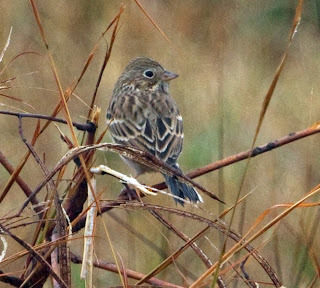 When I got back, I stopped by the Reserve on Tuesday, Dec. 3rd. 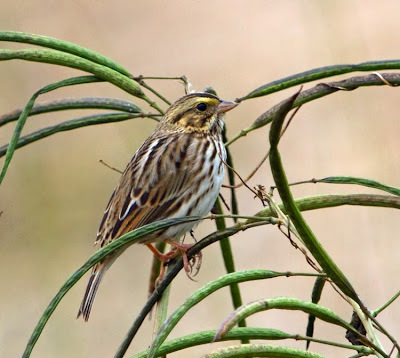 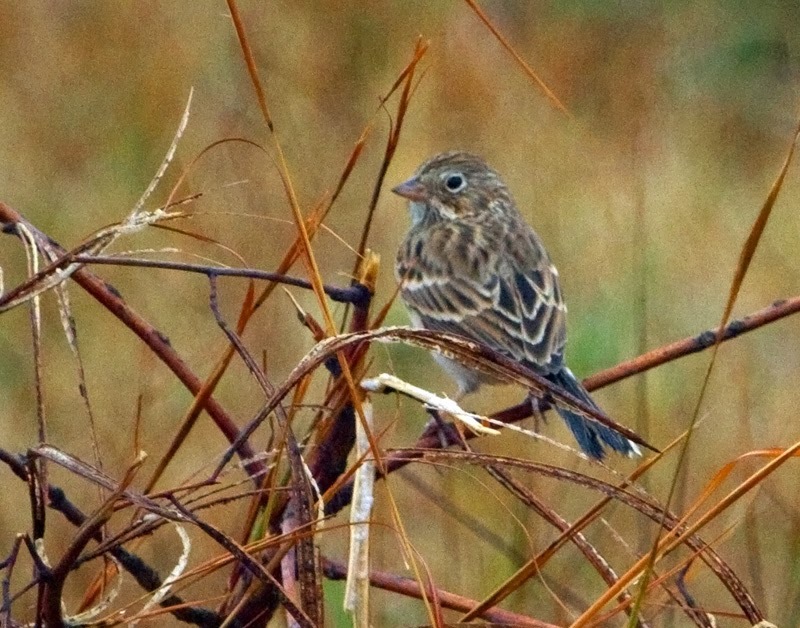 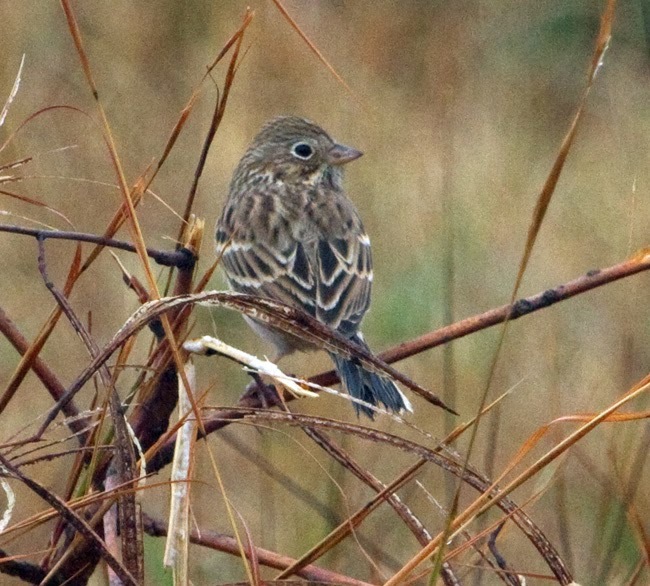 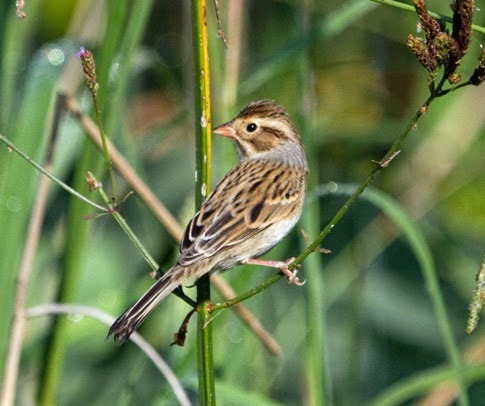 Savannah Sparrows were abundant, as were Swamp, Song and Chipping Sparrows. 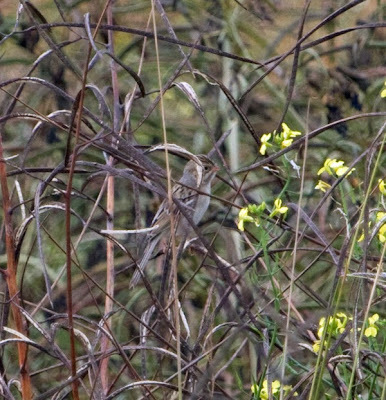 I was thrilled to find several Vesper Sparrows. I got a couple of distant photos that day and better looks and photos on Sunday, Dec. 8, 2013. 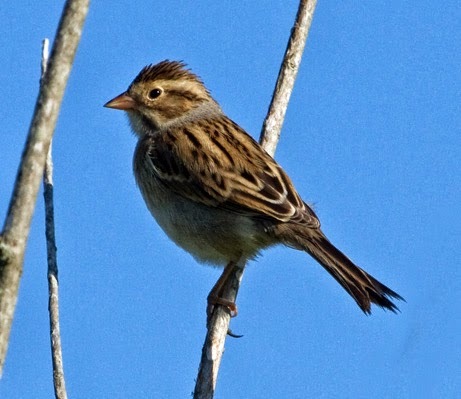 Steve Calver showed up and spotted a Clay-colored Sparrow. 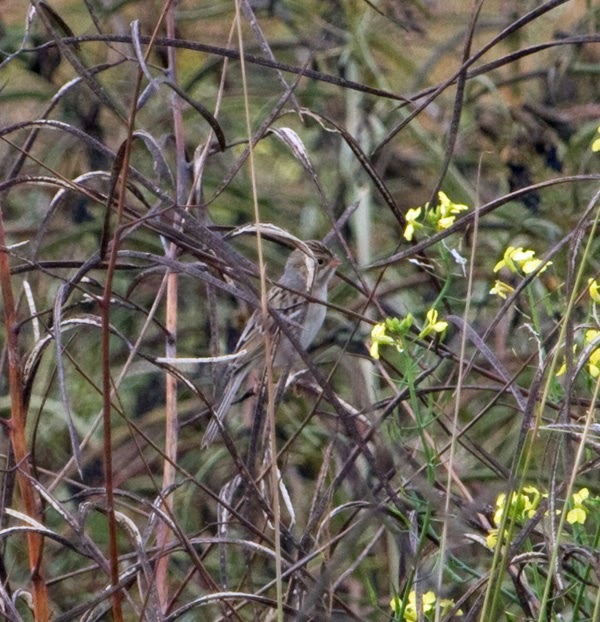 I was able to relocate and get a couple of distant photos. 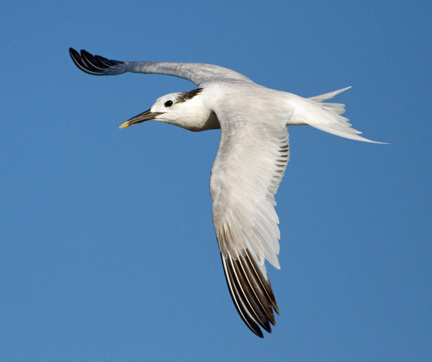 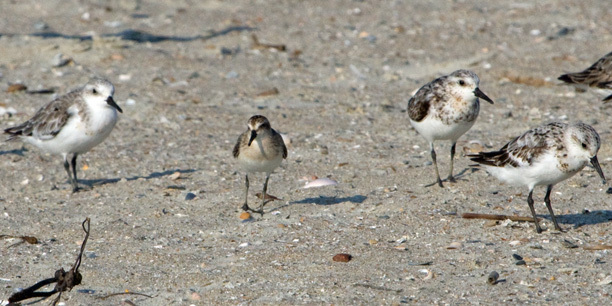 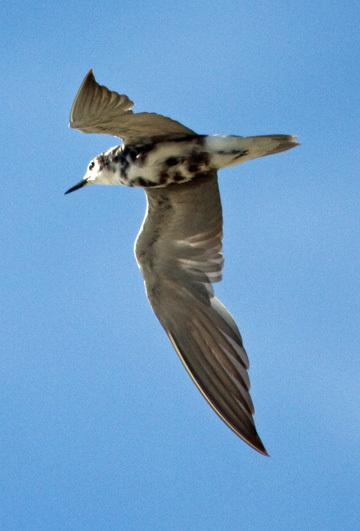 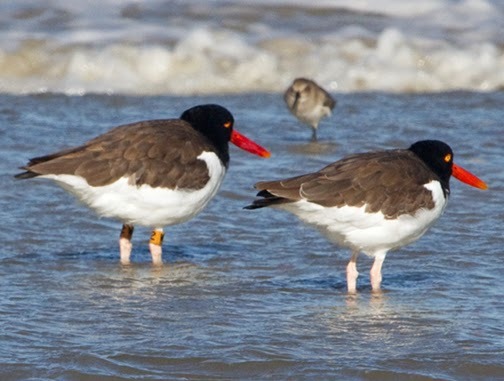 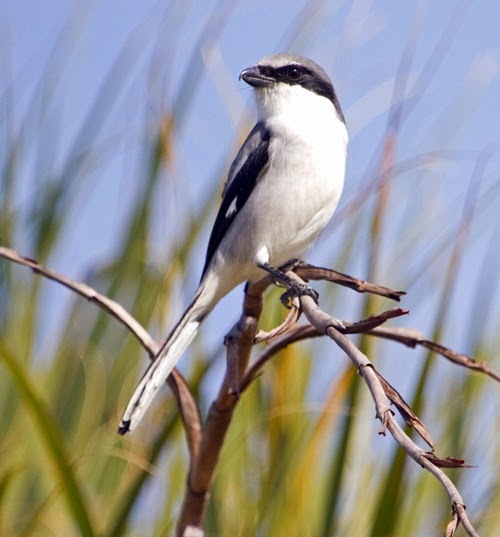 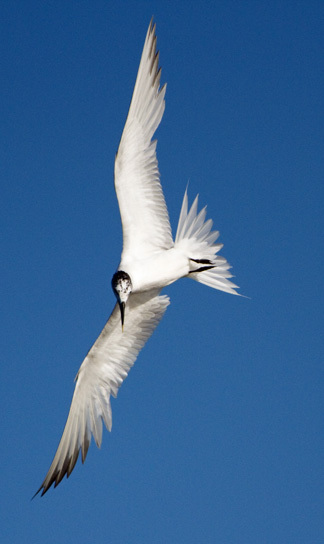 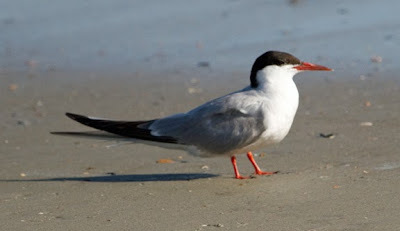 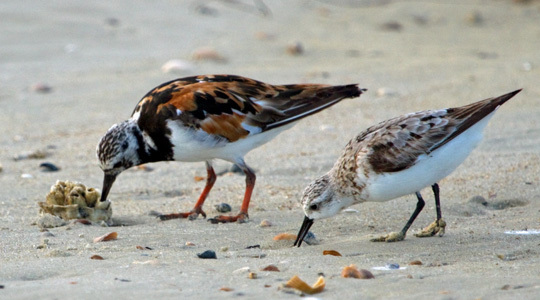 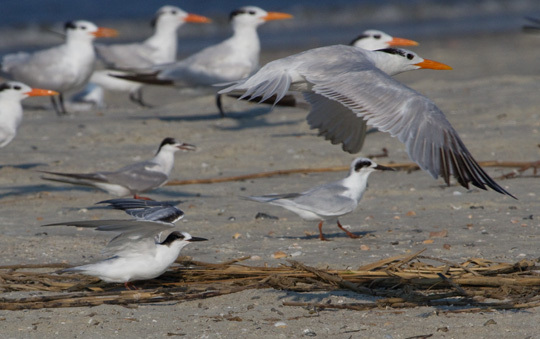 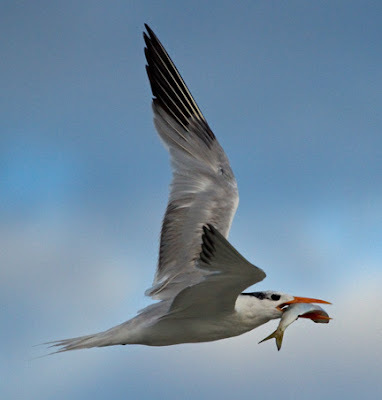 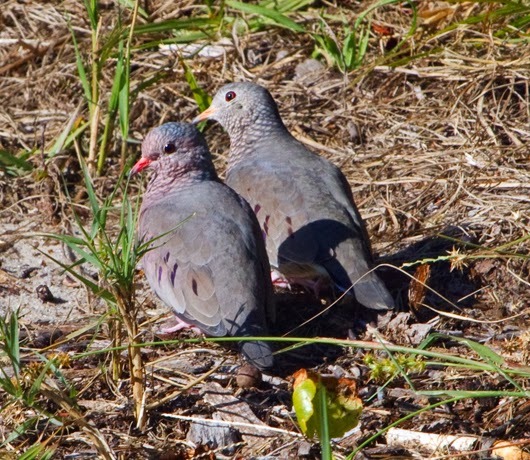 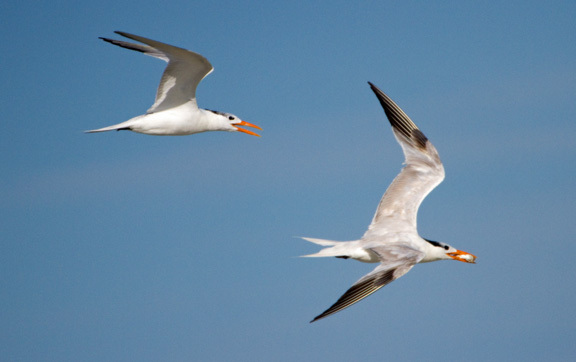 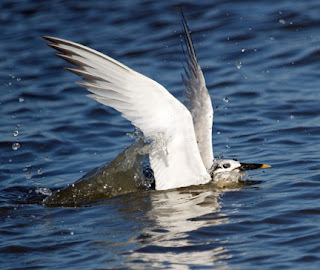 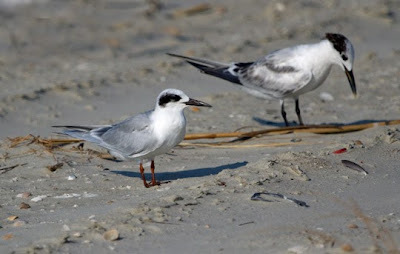 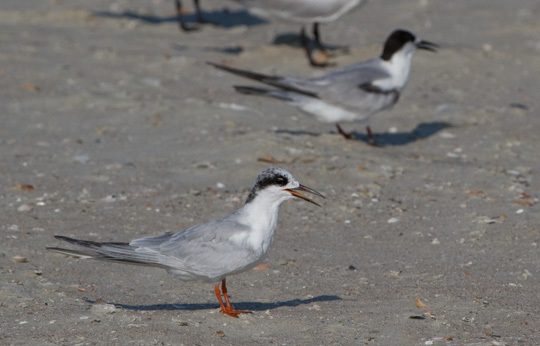 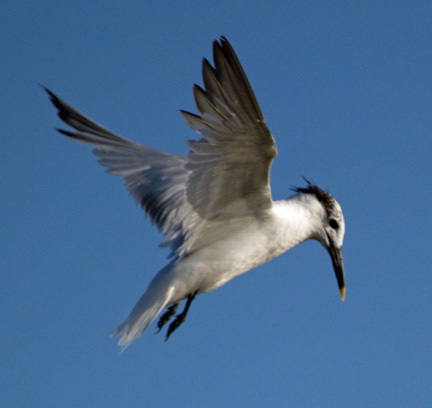 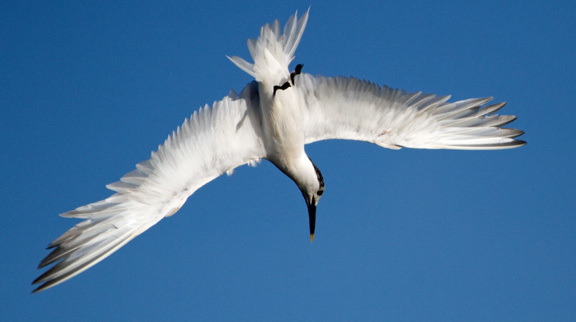 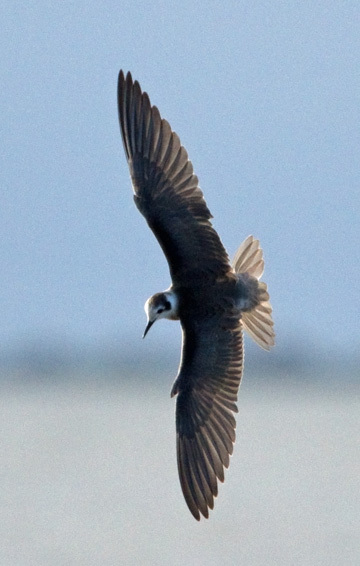 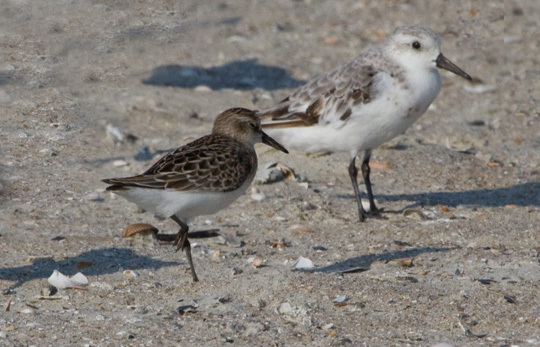 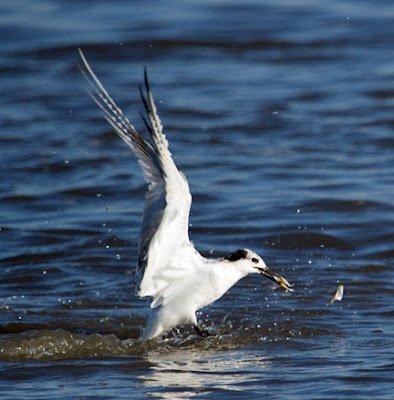 Ogeechee Audubon had a field trip to Hutchinson Island on Dec. 8th. 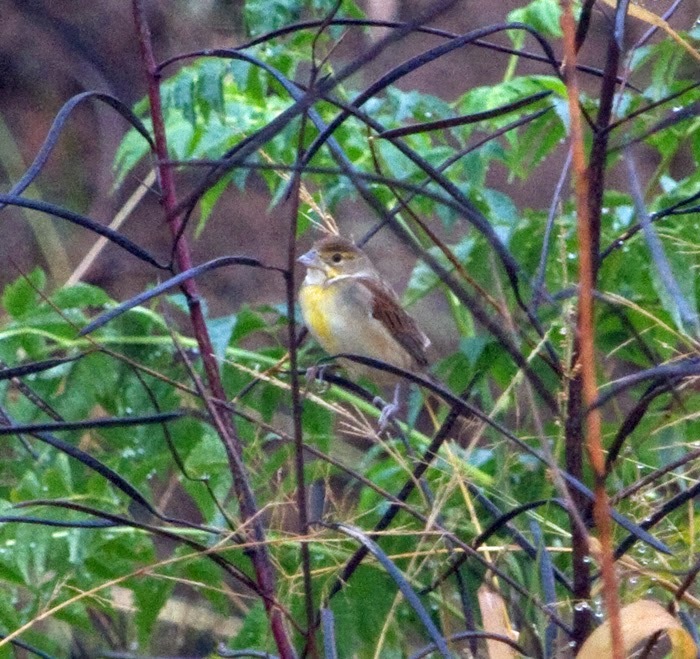 In spite of the cool, foggy, overcast weather, 15 people showed up. 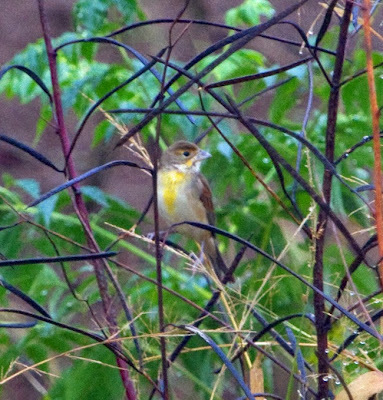 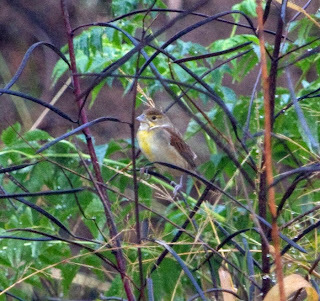 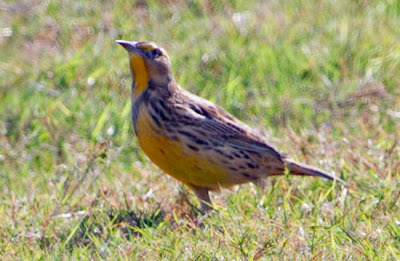 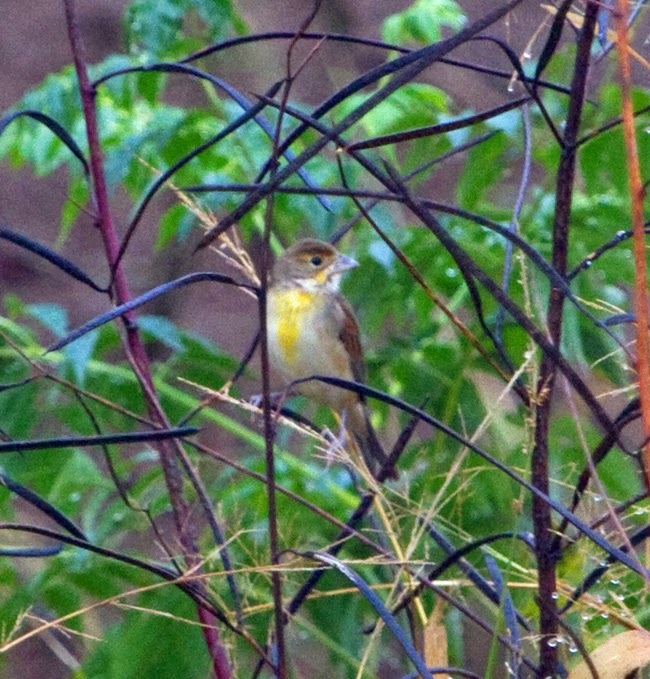 The best bird of the day was a Dickcissel - either female or young male. It perched low in a bush and most folks got good looks in the scope. 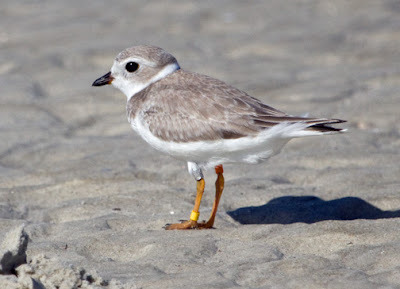 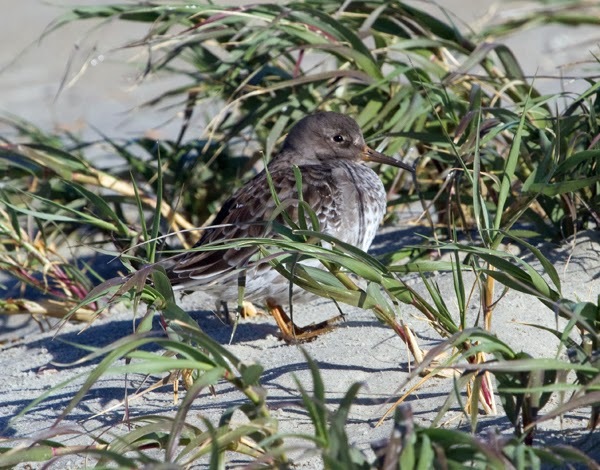 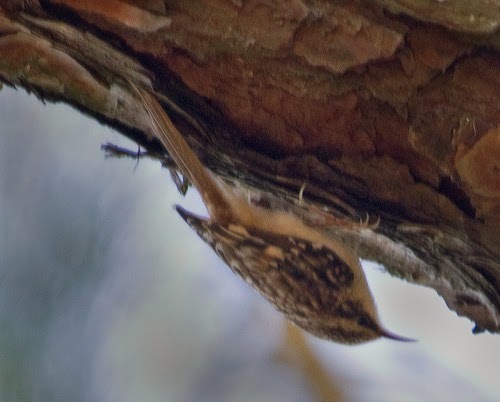 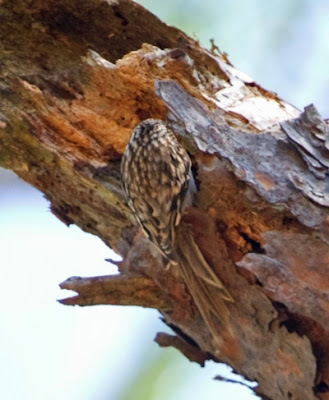 The bird was relocated later that afternoon by several other birders. 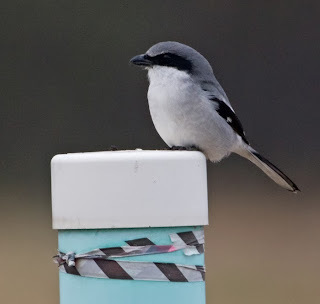 Other fun sightings included an Osprey flying by with a large fish, more than a dozen Wilson's Snipe that flushed out of the wet fields, and a Loggerhead Shrike. 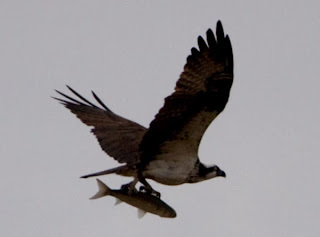 Osprey carries a big fish.